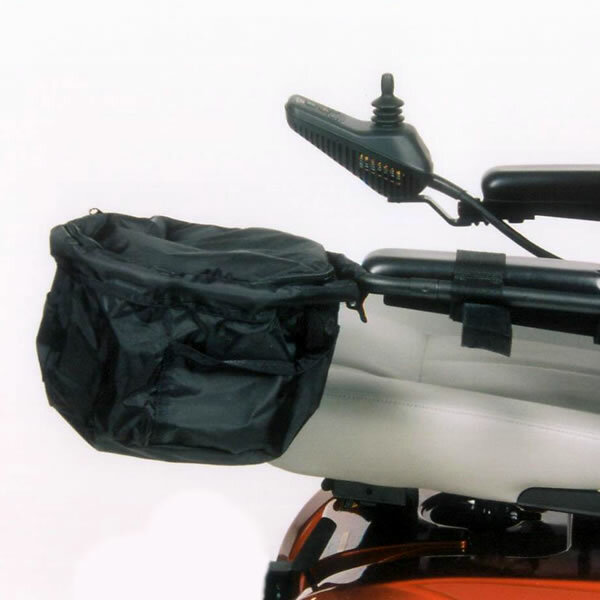 A front bag attaches on the end of an armrest on a mobility scooter or power wheelchair. 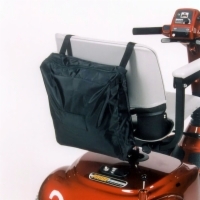 It is about the size of half a basketball and can be kept open does to its aluminum frame. The zippered top will keep items secure when closed, however.